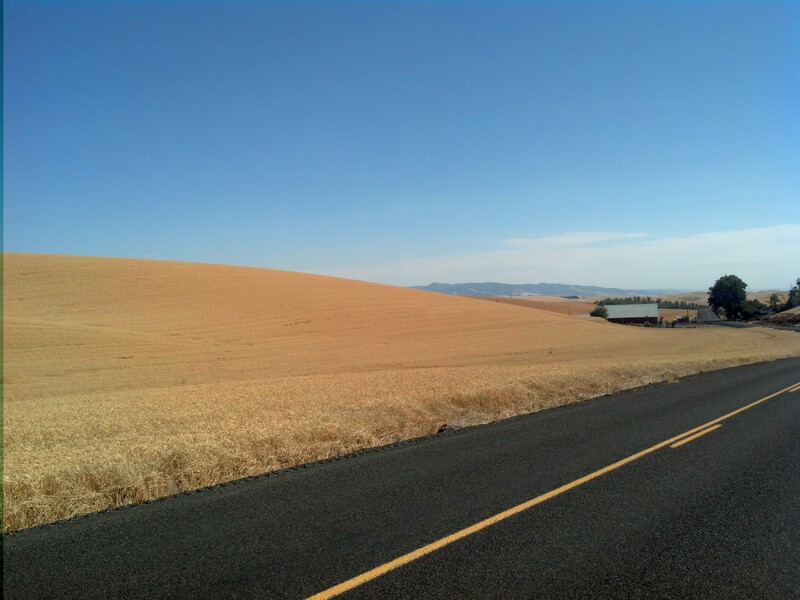 After leaving walla walla, the landscape quickly changed from desert to endless rolling hills of golden wheatfields. The folks at the bike shop in walla walla put me on a great quiet road with almost no traffic. I had been getting a little bummed by the endless desert and relentless heat, but I think things turned around for me yesterday. Not sure if it’s the slightly cooler weather, the less foreboding landscape, or maybe I’m just finally getting into the swing of things. I’ve been going through some really cute little farm towns. In the first one, I ran into a group of eleven boy scouts and two leaders who were riding from Maryland to Astoria! They have a blog at lucky13biketrip.com. Shortly after that, I started passing an organized bike tour group of about 300 people heading in the opposite direction! 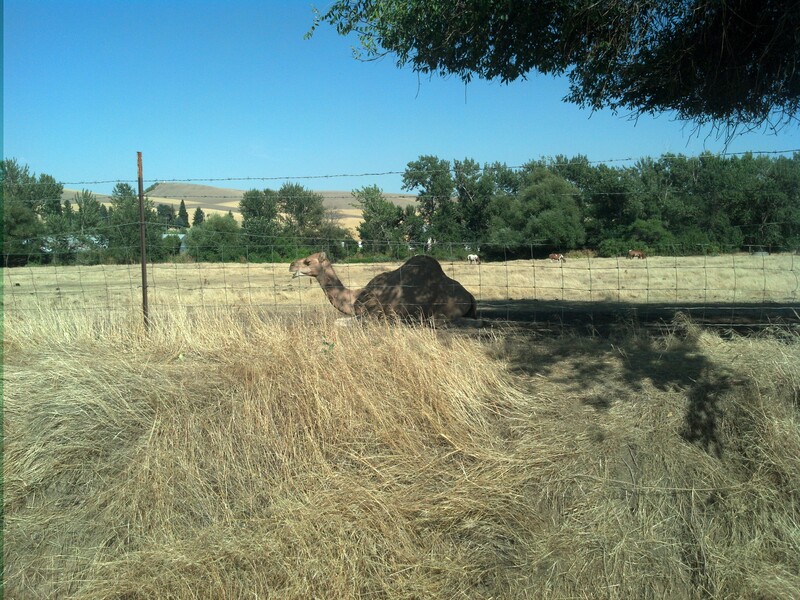 I was passing them for about 12 miles when I stopped at one of their rest stops to talk to some of them. They let me partake in their amazing spread of snacks, including deviled eggs, watermelon, bananas stuffed with peanut butter and Nutella, and homemade paydays! Next Next post: In the mountains!